The town of Henley is best known, right around the world, for the Royal Regatta which takes place during the first week of July each year. 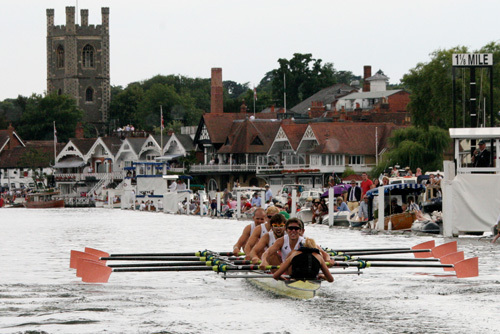 Hundreds of rowers compete in the five-day event, which takes place over an upstream course on the River Thames, finishing just 200 yards from the Church. The final day of the Regatta, a Sunday, begins with a traditional service of Choral Matins, one of the most colourful services of the year. Those attending include the Stewards and other officials of the Regatta, together with a large number of supporters from the town and those visiting from further field. Each year an eminent visiting preacher is invited to give the sermon, while the collection is usually taken up by overseas crew members, often from American schools. The next service will be 9:30am on Sunday 7th July 2019. All are welcome!